My name is Cameron Strachan and my claim to fame is teaching Aaron Baddeley the “look and shoot” putting technique many years ago. I’ve been playing and writing about golf performance for years, and in just a moment I’ll introduce you to a putting system that is so powerful that it helped Aaron become one of the world’s best putters. 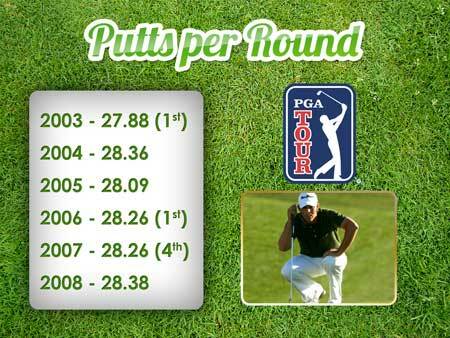 Aaron has topped the rankings for putting on the USPGA Tour on multiple occasions, and he’s never far from the top of the putting stats. Even when his full game has deserted him, his putting has remained strong. My little manual was a hit. It has been sold all over the world and I still get emails from people looking for it. The advice is simple and easy to apply – it will work on all golfers, whether you’re a weekend warrior or a seasoned professional. I’ve recently updated my Perfect Putting system and while it can definitely help all golfers, it has been specially put together to help golfers who are struggling badly with the putting game (like the putting yips, lack of confidence or taking more than 36 putts per round). The product contains video lessons, bonus content and even case studies of real people using my system and the incredible results they got! 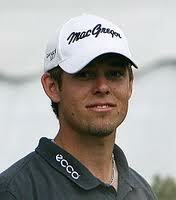 So now I’d like to invite you to become a better putter and restore your confidence. Lesson #1: Free Putting (video) – this might be the real secret to better putting. Learn how to get our of your own way and lock into your natural and reliable putting stroke. Lesson #2: Listening (video) – this lesson is one of my all time favourites and works like a charm. Lesson #3: Pre-shot Routine (video) – discover the proper thing to do before stroking your putt. Most golf instructors get this wrong. Lesson #5: Pre-setting (video) – what’s pre-setting? This is my secret weapon lesson for controlling nerves, fear and anxiety on important putts. Lesson #6: Pressure putts (video) – tired of missing those tap ins? Let me show you how to make most of those 2 and 3 foot putts. 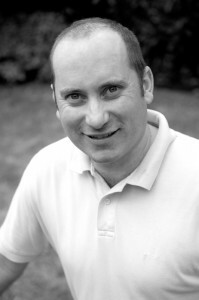 Lesson #8: Vital Skill (video) – OK, this one is important because every good player does this. Most don’t know they’re doing it but they are. Lesson #9: Reading Greens (video) – This is an almost foolproof way of reading greens. And it doesn’t require any magical skill or talent. If you can stand up you should be reading greens like a master. Lesson #10: Technique (video) – Let me share with you my thoughts on improving your putting technique. And you may be surprised at how easy mechanics are to learn. There’s also bonus videos, case studies and special lessons on almost every aspect of putting. All up there’s over 12 videos aimed at helping you be the best you can be. 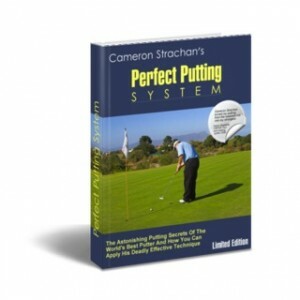 You also get full access to the latest and greatest update of my Perfect Putting Manual (e-book). It has been revised with new content and images. Not available anywhere. Plus you get direct access to me via a special contact form. If you have a question or need some specific advice, you’re free to contact me and I’ll do my best to help you. Current Students Can’t Stop Raving About My Perfect Putting System! I did the best putting round of my life 11 putts on the 1st nine holes, normally I have at least two three putts! Thanks for your perfect putting; I tried your ‘natural’ method and I’m a convert. Only had one round with it so far but did not have ONE three-putt!!!. I look forward to continued improvement! All of the content is contained inside a special website. All of the training videos are laid out in a ‘step by step’ fashion. So all you have to do is click play and watch the show! It’s like a private membership site that is solely dedicated to improving your putting. Also, the vids are mobile friendly – so you can watch them on your phone or Ipad. 1. Keep putting the way you always have…with more BAD days than GOOD. Keep yipping the putter and missing all of those easy putts and walking from the course feeling like a loser. 2. Become a member and discover how putting can be a natural, automatic process that will lower you score and give your game the consistency you’ve been looking for. 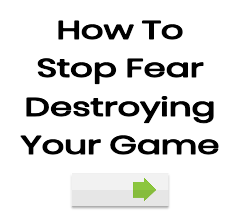 Best of all, you’ll learn how to stop yipping all those putts and replace the fear with confidence. Here’s the bottom line. If you’ve been struggling with bad putting, yipping or wasting strokes on the greens then this website is for you. Everything you learn on the inside will help you dominate on the green with the confidence of a PRO. In my Perfect Putting members site there’s no fluff or BS. If you’re not happy with your putting then I strongly believe (and so does Aaron Baddeley:)) that my perfect putting course will transform you into a world class putter. So Take The Next Step And Become The Putter You Were Meant To Be…Click Below To Get Instant Access To My Improved Perfect Putting System Now!